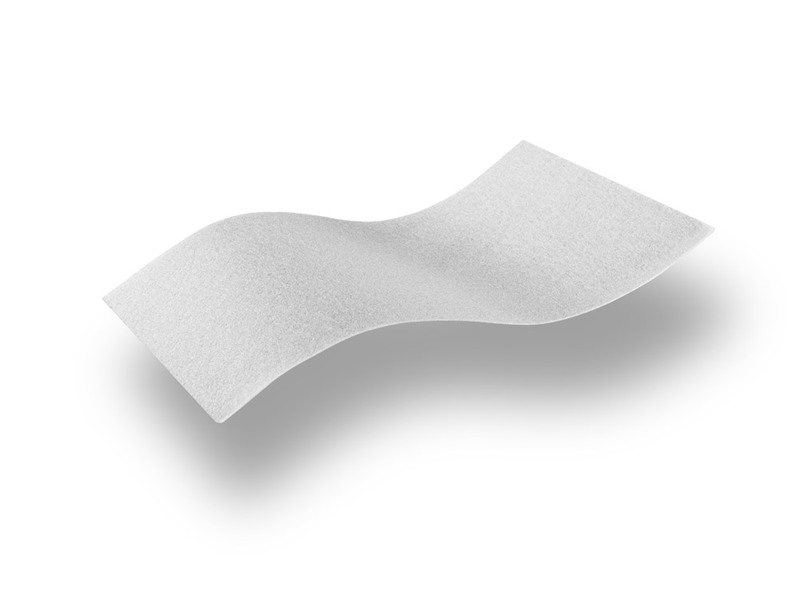 USE: as separation and filtration layer. 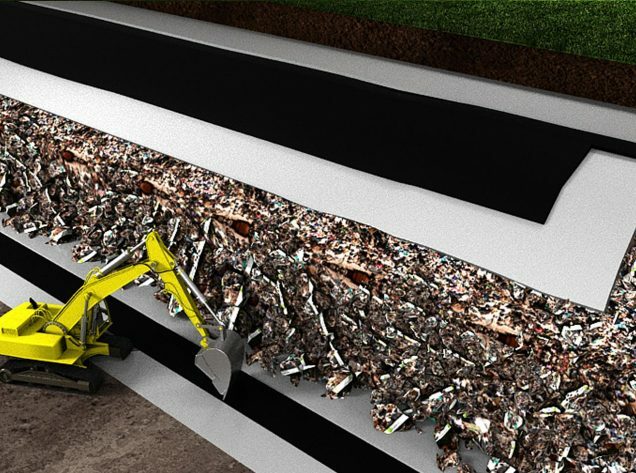 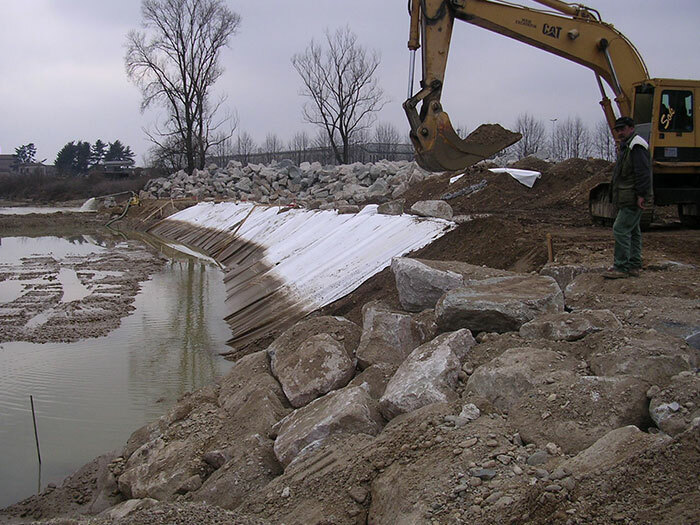 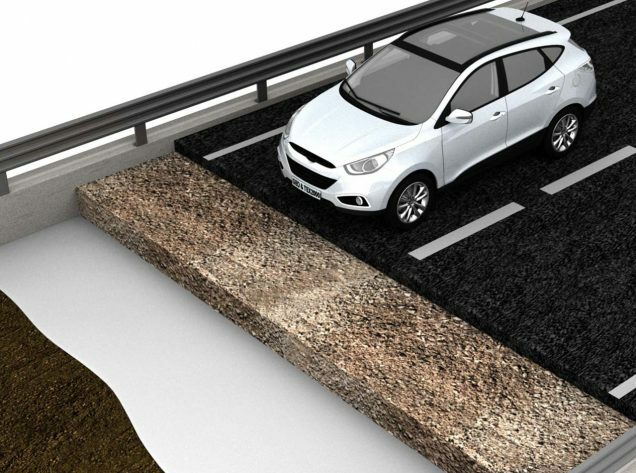 INSTALLATION: in the erosion control works of coasts, riverbanks, canals, between the base soil and the permeable revetment (rock blocks, rip-raps, gabions). 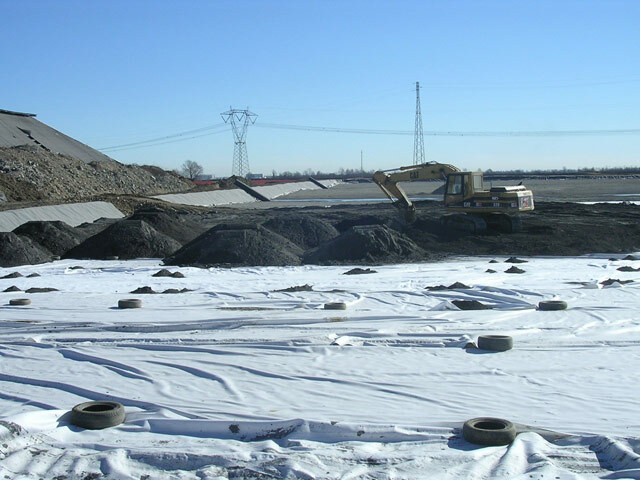 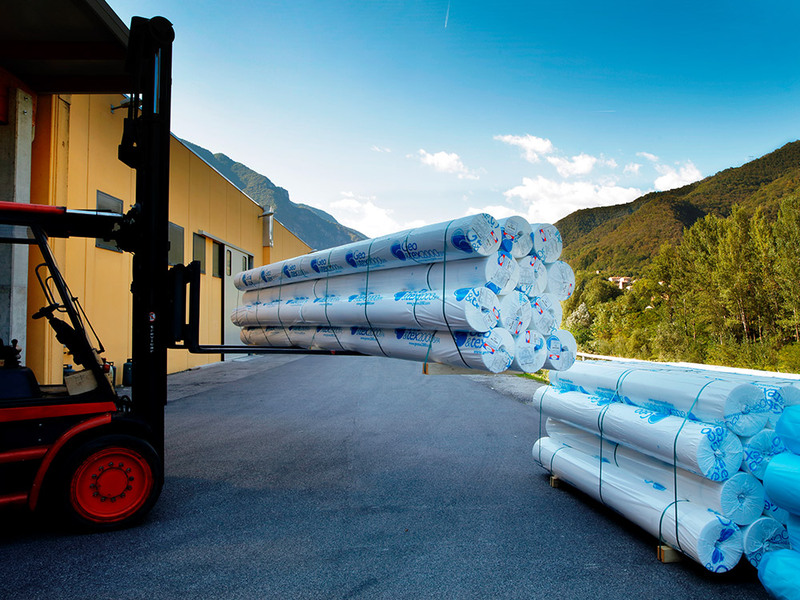 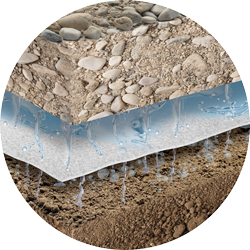 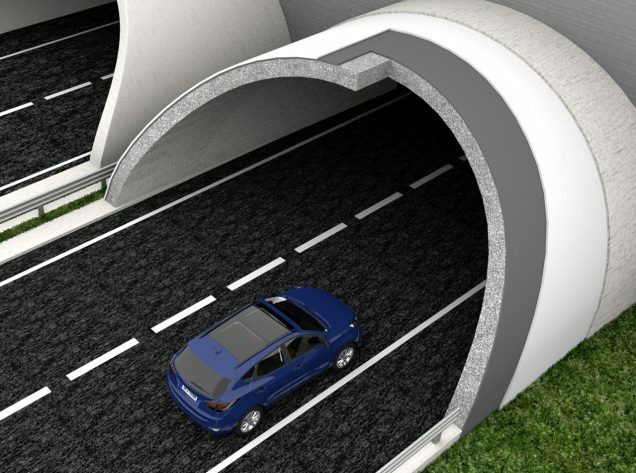 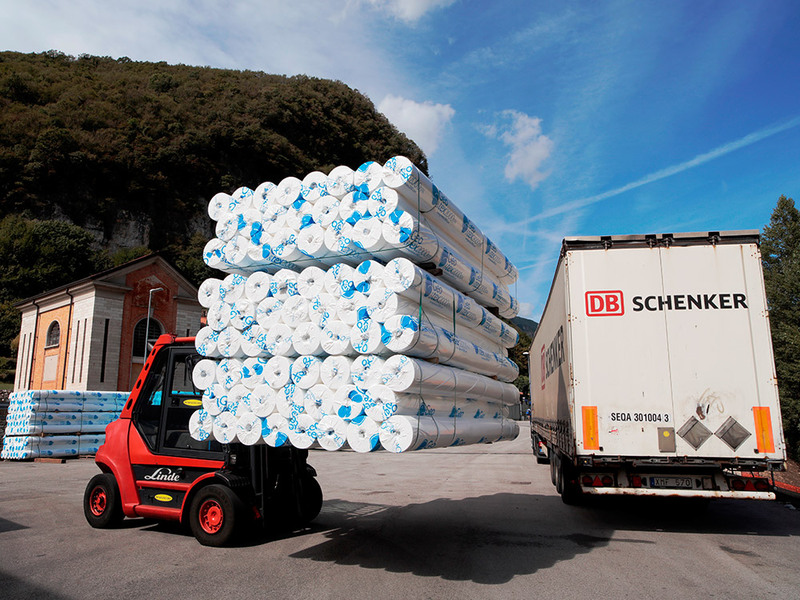 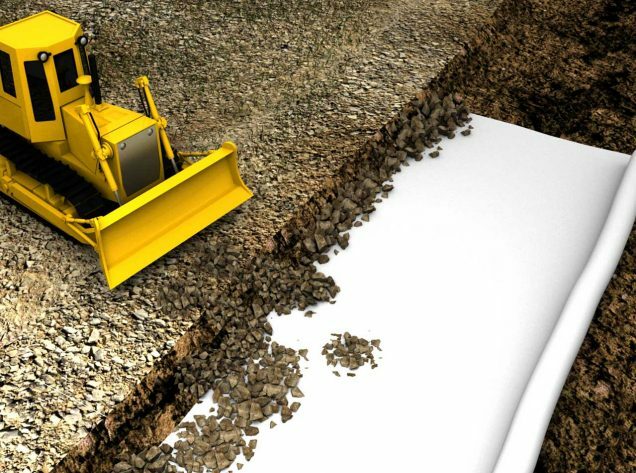 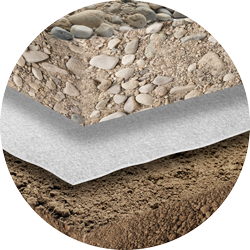 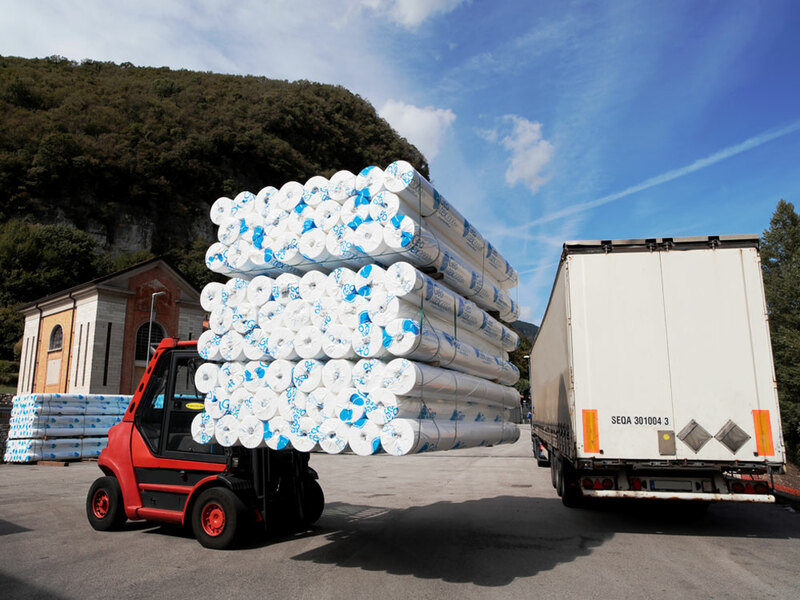 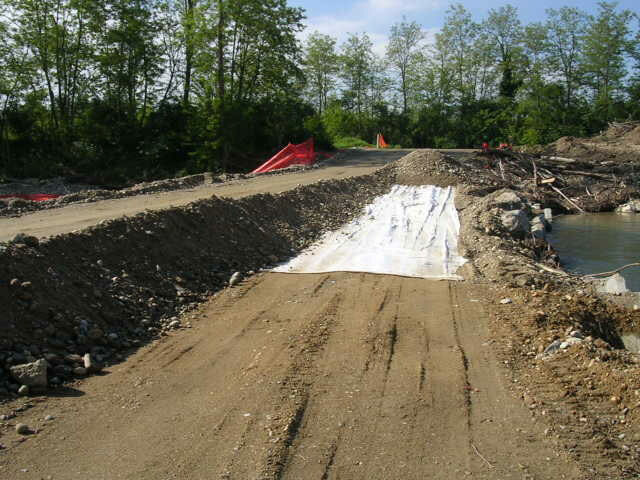 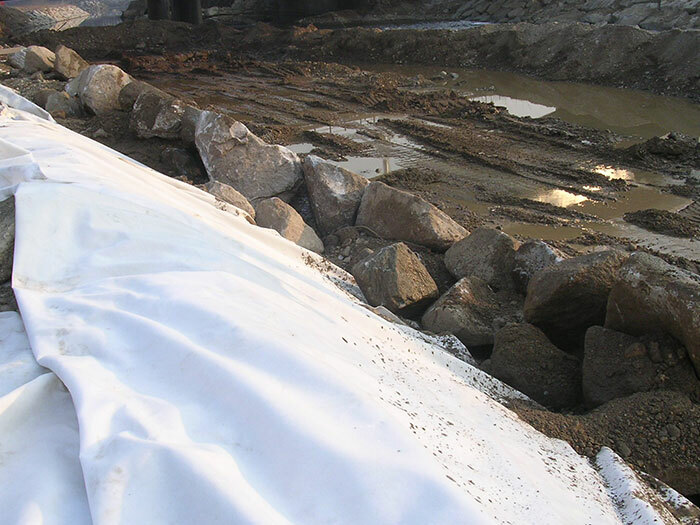 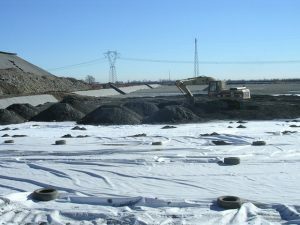 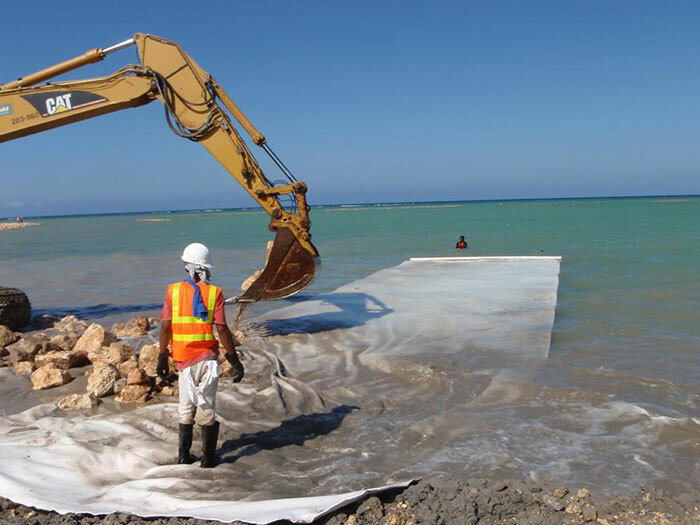 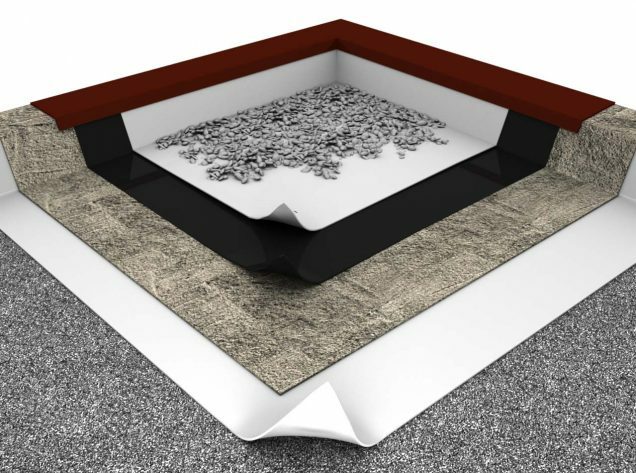 REFERENCE STANDARD: EN 13253 (Geotextiles and geotextile-related products. 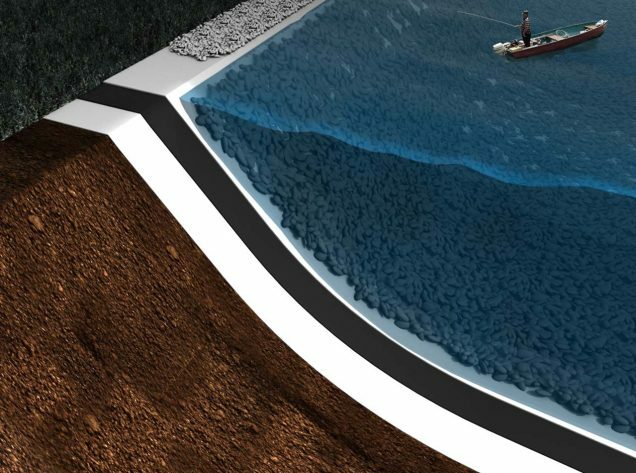 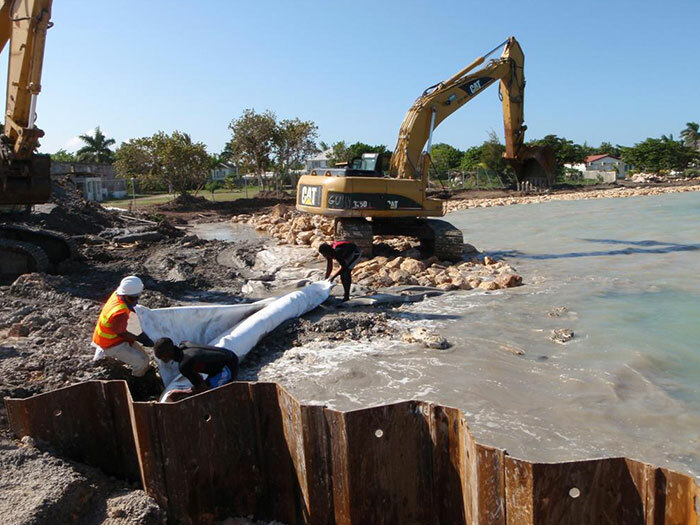 Characteristics required for use in erosion control works (coastal protection, bank revetments). 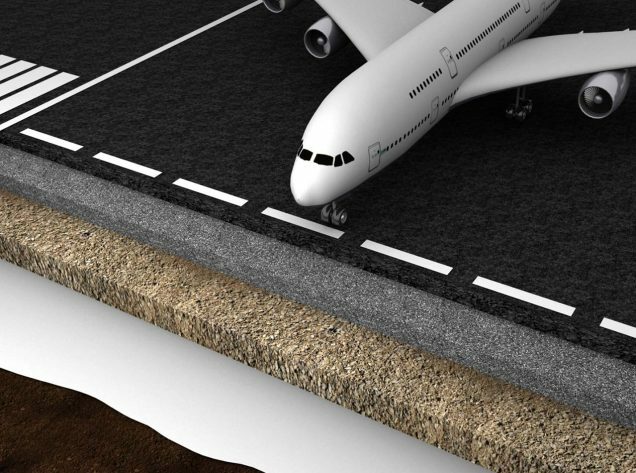 RELEVANT CHARACTERISTICS: tensile strength, static and dynamic puncture resistance, permeability normal to the plane, characteristic opening size, durability. RECOMMENDED PRODUCTS: to be chosen according to the characteristics of subsoil, to the type of revetment blocks, and to the dropping height of blocks installed on the nonwoven. 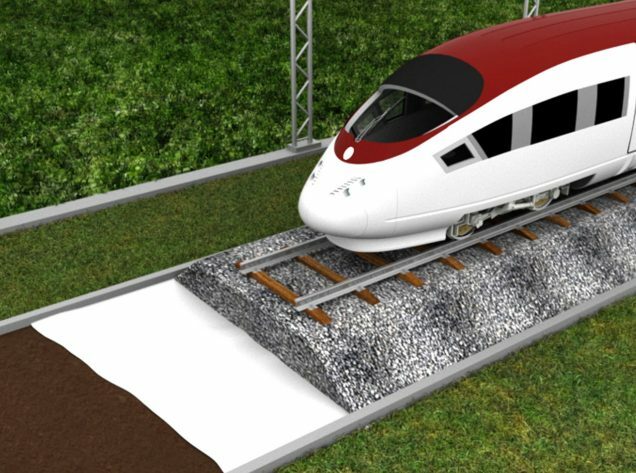 For example, with dropping height over 1 m and a weight of blocks over 1000 – 15000 – 2000 kg respectively, GEO PP AG 500 – 600 – 700 g/m2 should be used.